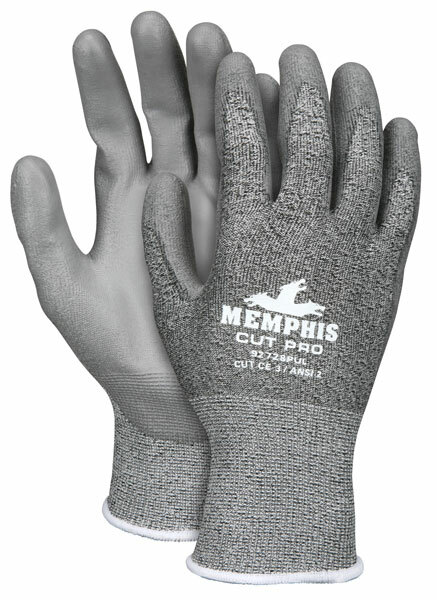 Memphis Cut Pro™ offers cut resistant options that are comfortable and easy to wear. The 92728PU features a seamless 18 gauge HPPE shell with a durable gray PU coated palm and fingertips. The PU coating adds more abrasion resistance and grip making this glove a must for those tough jobs. Go Pro with Memphis Cut Pro™!